Oregonians looking to get rid of their Christmas trees have important roles to play in keeping tree-killing insects out of the state. Throwing old Christmas trees into the woods or leaving them in yards could spread a pest known as the elongate hemlock scale, according to the Oregon Department of Forestry. 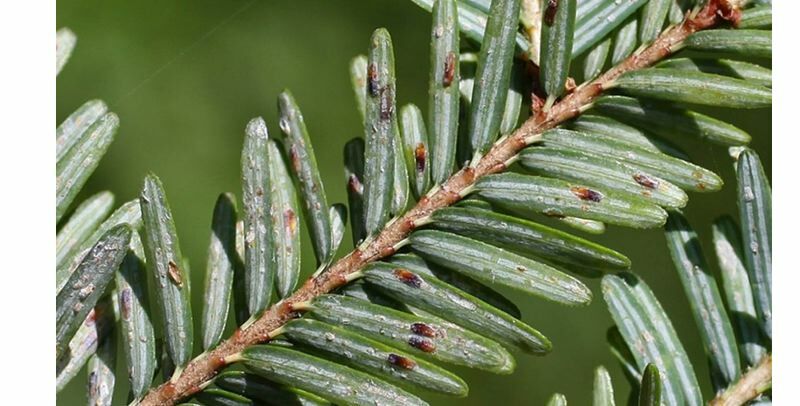 A pest known as the elongate hemlock scale hitched a ride into Oregon on Christmas trees brought in from North Carolina, according to ODF Invasive Species Specialist Wyatt Williams. These insects were first noticed on some imported trees by the Oregon Department of Agriculture and the infested trees were destroyed. But some infested trees may still have made their way into big-box stores up and down the West Coast. Williams said the insects will become a problem if these Christmas trees are dumped outside because any eggs that were laid could hatch and the pest could spread into forests. Elongate hemlock scale eats the underside of needles on several conifer species native to Oregon including hemlock, spruce and Douglas fir trees, according to experts.